If you look at the diet of most Americans, you will find these foods that cause inflammation, arthritis and weight gain that they think are healthy. However they are ruining their health instead. An irritated gut can make your life miserable. If you have been diagnosed with an autoimmune disease or have reason to believe that you are suffering due to inflammation, leaky gut syndrome or similar health problems, your diet is the key to relief. I suggest that everyone try the Autoimmune Protocol Diet. It helps eliminate the irritation which then eliminates the symptoms and restore your health. It is a commitment, but is one everyone should try! All autoimmune disorders are the result of inflammation. Your body mistakes some group of cells as a toxic invader and goes on the attack to eliminate it. Different disorders involve the attack of different cells, but inflammation is at the root of the problem. What you eat can make a huge difference in how you feel, but you different foods may affect your body differently than they do someone else’s body. Grains are (especially ones containing gluten) tend to be the biggest problem and can cause an inflammatory response from your body. Even complex, unrefined grains can cause bad reactions in your gut because they are “foods” we were never meant to eat…especially in the qualities that most people do. You don’t have to be diagnosed with celiac disease to feel sick, tired or bloated when you consume gluten. Many people simply cannot process gluten comfortably but do not even know it. There also many potential problems with dairy. 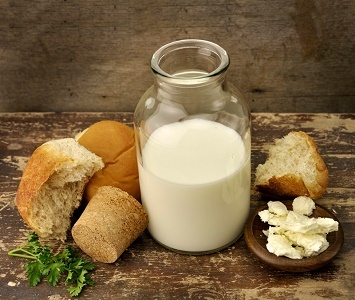 Not only is it difficult for a large part of the population to comfortably process cow’s milk, dairy is not really ideal for human consumption anyway. It is meant to make a baby cow gain 300 pounds in one year. What effects it has on most people is not as positive. You will have to experiment in the future to determine how much dairy your body can handle, if you can handle it at all. Studies have shown that the human body sends out immunity messengers when it is flooded with too much sugar. Not only does a high-sugar diet put you at risk for diabetes and other health conditions, but it can lead to increased inflammation and autoimmune attacks. It is also important to pay attention to refined carbohydrates which are turned into sugar inside your body. It should be eliminated completely for a period of time to break its addictive nature and see how it affects your body. This category of food contains tomatoes, potatoes, peppers and some popular spices. If you suffer from inflammation or autoimmune disease of any type, you more than likely will struggle to incorporate these foods into your diet comfortably. If you aren’t familiar with the term “nightshades,” it is worth getting a list of the many foods included and eliminating them to see how much better you feel. For many sufferers, these foods cause as much or more discomfort than better-known culprits, including gluten, dairy and sugar. You may or may not discover that your body cannot handle seeds and tree nuts. 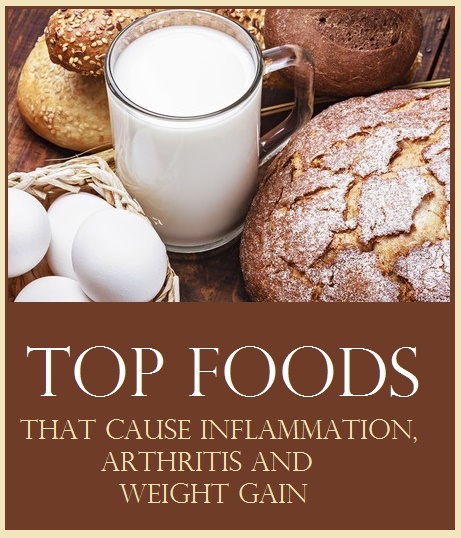 It is best to eliminate them at first in order to thoroughly get rid of all potential inflammation triggers and foods that cause inflammation in many people. Nuts are one of the most common foods to cause allergic reactions, and you are more vulnerable to food reactions if you have a leaky gut; and you probably do have a leaky gut if you have autoimmune issues. You might find that you can work some seeds or nuts back into your diet later on. Soy is a controversial food source, but it is clearly linked to leaky gut syndrome and autoimmune attacks for some people. If you think soy is healthy, you may want to read this. You will definitely change your mind! These ingredients simply aren’t real food sources. They are chemicals that your body doesn’t know how to process efficiently, so your system can easily consider them intruders worth fighting off. There are far better ways to season your foods or enjoy a sweet treat that won’t hurt your body. Legumes can cause inflammation for many of the same reasons grains and dairy can cause inflammation. They are anti-nutrients that can actually really mess up your digestion and let poisons into your bloodstream! If a lot of your favorite foods are on that list, you can rest assured that a lot of the inflammation and pain you are experiencing is influenced by your dietary choices. It may feel overwhelming to think about cutting all of those foods out of your diet, but don’t focus on the elimination. Focus on the long list of foods that you can still enjoy. More importantly, focus on the relief that you are going to feel once you start following a gut-friendly diet. Commit completely for AT LEAST 30 days. It will be the best thing you ever did for yourself and your health!